Don Sanford's A Choosing People: The History of Seventh Day Baptists has been out of print for some years — but no longer. Nick Kersten of the Seventh Day Baptist Historical Society announces the publication of a new edition [pictured here - I think that is probably Nick's thumb] and that it will be available for sale at the General Conference sessions next week in Buckhannon, West Virginia. 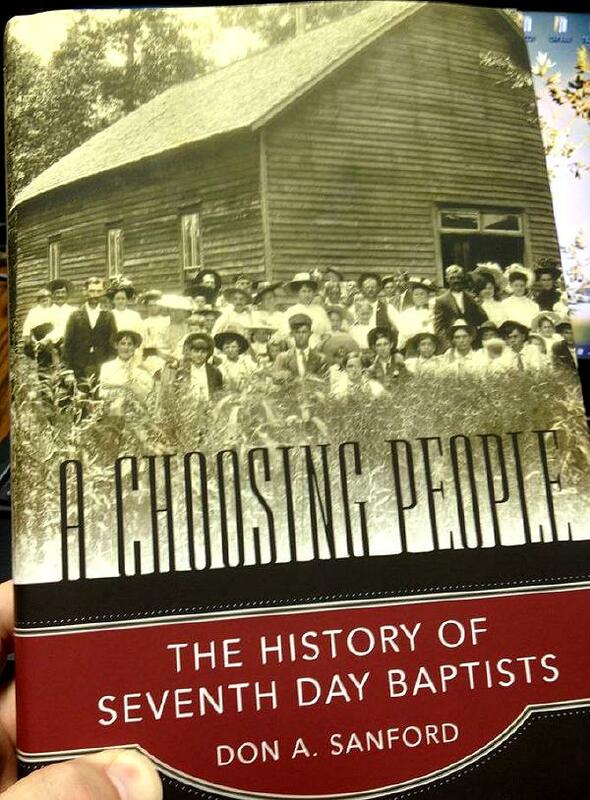 The book is also available for pre-order at Amazon: A Choosing People: The History of Seventh Day Baptists . My understanding is that this edition was revised, corrected and updated by the author and, since Don's death, by others.